Constant interaction with the screen ensures that golfers will see your advertisement. GPS advertising will bring your company to the forefront with individuals who have expendable income. Less expensive and more effective than traditional forms of advertising. Today’s consumer is highly responsive to technology-based advertising mediums, especially a medium as unique as the GPS. GPS advertising can help reach your target market and increase the value of your marketing dollars. 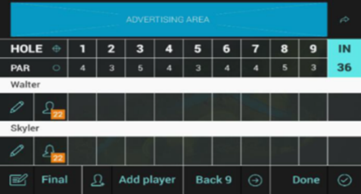 A full page ad is displayed as a cart exits the tee box and is shown on the screen for 120 seconds or until the golfer dismisses the ad. Once the ad is dismissed, it shifts into a panel ad for the remainder of the hole. When a golfer switches to a message list, a pro-tips screen or a scorecard screen, a banner ad will appear at the top of the screen. · Receive (4) rounds of golf with cart for the 2019 season. 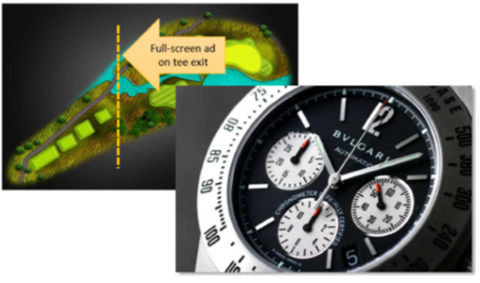 One full-screen billboard ad appears at the beginning of a golf hole on the touch screen monitor, remaining visible for two minutes. The ad then converts to a panel advertisement for the remainder of the hole. Advertising exposure for the entire hole is 12-15 minutes. Once the hole is completed, golfers have the opportunity to input their score via the touch screen where a banner advertisement will display above the scorecard. These units are state-of-the-art 10.1” ultra-bright, high resolution touch screens mounted on the center windshield of each of our 75 golf carts. These screens are very interactive. A golfer can locate the distance from their ball to the hole or any other location on the hole by merely touching the screen at the desired location. 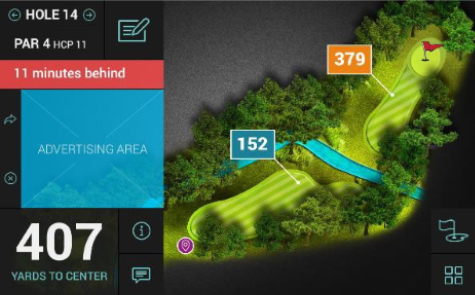 The unit is easily visible by both riders at all times and also allows the golfer to enter their scores and get “pro-tips” on each hole. Golf Cart GPS Advertising opportunities. NorthStar Golf Club is a semi-private golf club within a planned community in Sunbury, Ohio. This highly-acclaimed golf club continues to grow in reputation, having been host to the U.S. Amateur Qualifier and the Ohio Public Championship. It annually holds the Ohio High School Boys Golf Championship. 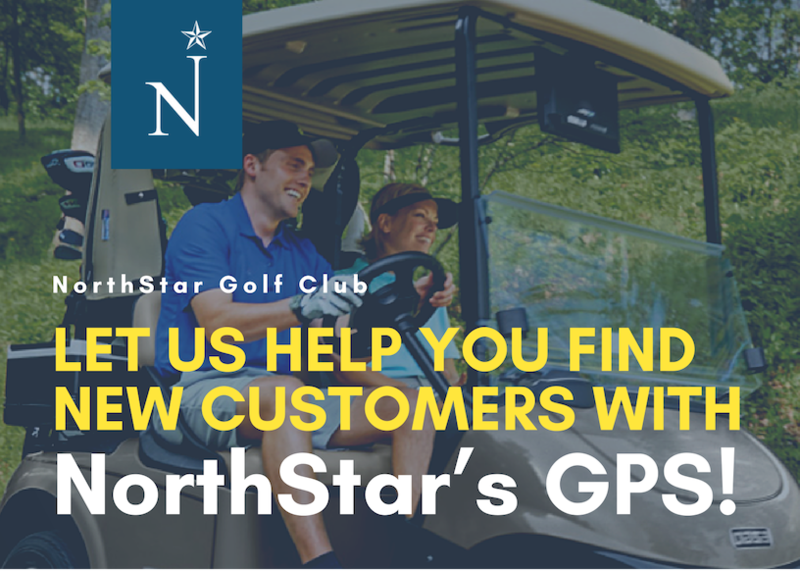 The NorthStar Community is one of the prime growth areas of Central Ohio, so come visit us and see what a great opportunity advertising through NorthStar’s GPS system can be for your business! We would be happy to schedule a demo with you and your business! Next Post NorthStar Proudly Unveils their 2019 Junior Golf Camps! Sign up Today!